CROWBAR – Announce New Album Title And Track Listing Revealed! (New York, NY) — Legendary Metal-Sludge giants CROWBAR will release their crushing, long-awaited new studio album, “Sever The Wicked Hand” on Tuesday, February 8th, 2011 via eOne Music. * The full album is available now for pre-order on iTunes. 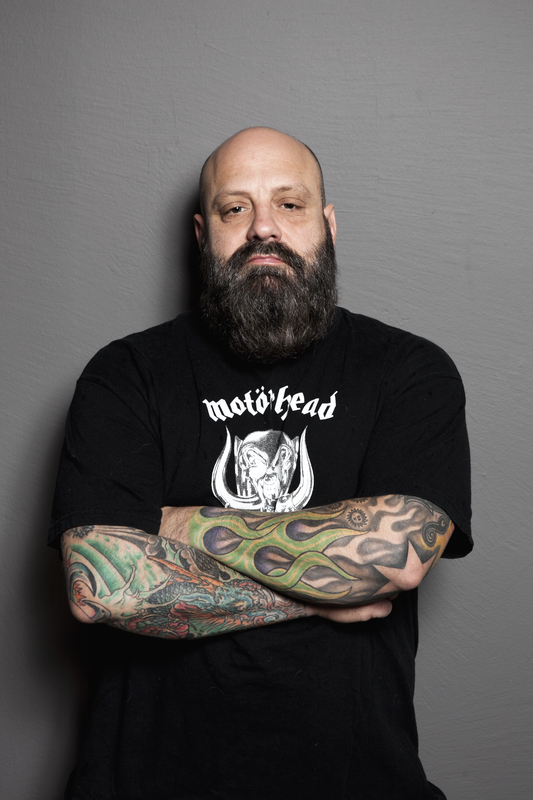 Kirk Windstein – Crowbar founding member, vocalist and guitarist. Long Live Kirk Windstein and Crowbar. 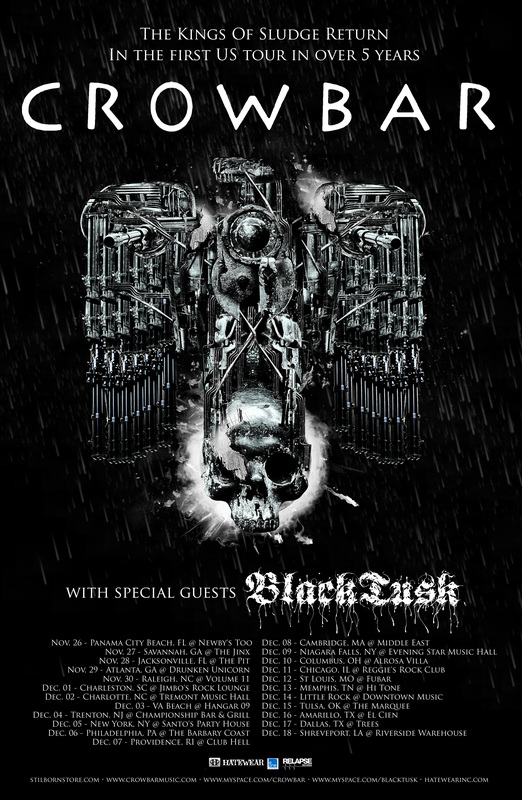 CROWBAR – KICK OFF FIRST HEADLINING TOUR IN OVER FIVE YEARS! Newly signed to eOne Music, sludge metal legends CROWBAR recently re-released three influential records, CROWBAR, LIVE +1 and TIME HEALS NOTHING on October 5th, 2010. These three records are the band’s core titles and have influenced many of today’s major metal acts including LAMB OF GOD and HATEBREED. With each title originally being released in the early nineties, this will be the first time all three records will be widely available in stores and online. A new CROWBAR record is planned for early 2011. KIRK WINDSTEIN – Founding member, guitarist and vocalist of Crowbar. Kirk Windstein formed CROWBAR in 1991. Since that time, the band’s sound has profoundly influenced a new generation of Metal acts the world over. 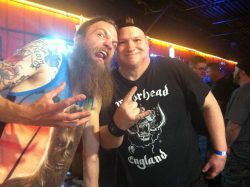 Kirk Windstein is also a key member of KINGDOM OF SORROW (with HATEBREED frontman Jamey Jasta) and DOWN. (Source: eOne Music press release, November 19, 2010). LONG LIVE KIRK WINDSTEIN & CROWBAR. HULL To Open For Pentagram In NY This January 2011! Commented the band : “This year being the first of the future, twenty-ten, it marks the starting point of a whole new century of sonic learning that we can’t even begin to imagine. Twenty-eleven has been foretold to perhaps even melt the faces of those who aren’t listening to the learning. The first of these twelve or seventy-three different events to mark the future will fall upon the sixth day of twenty-eleven at eight of the clock, when the bare moon is halved and then thrice cloven, thus appearing to be full. For those who would stand proud and open their ears to this gift, it is said it may be witnessed on the continent of Europa during the season of the Pentagram, when the Judas Priestess battles the mighty Bezoar they pilot an oaken Hull through Hell… Citizens! Come! Look into the bright light of the future and hear the words of the universe! HULL have been holed up at an undisclosed location working on the follow-up to their Sole Lord debut, issued via The End Records in 2009. Their sophomore full-length will be co-produced by Brett Romnes (who played drums on the band’s long coveted Viking Funeral EP, initially self-released in 2007) and mixed by Bill Anderson (Sleep, High On Fire, Neurosis, EHG, Melvins et al). – (Source: Earsplit press release, November 19, 2010). 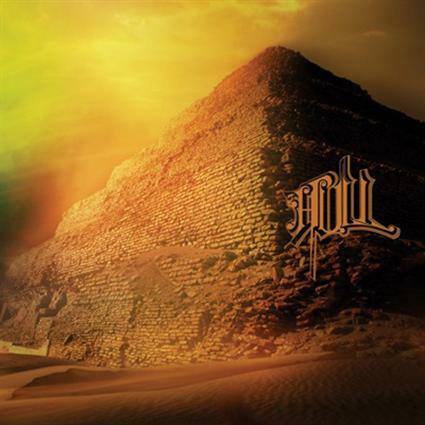 HULL – Sole Lord was released on The End Records, on May 26, 2009. * For more info on HULL, click on the links below! LONG LIVE HULL… and PENTAGRAM. 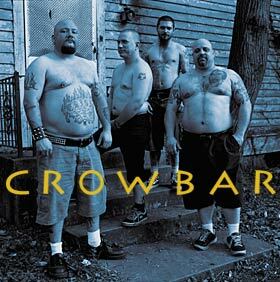 CROWBAR TO RE-RELEASE THREE INFLUENTIAL ALBUMS OCTOBER 5th, 2010! (New York, NY) — Newly signed to eOne Music, sludge metal legends CROWBAR will re-release three influential records, CROWBAR, LIVE +1 and TIME HEALS NOTHING on October 5th, 2010. These three records are the band’s core titles and have influenced many of today’s major metal acts including LAMB OF GOD and HATEBREED. With each title originally being released in the early nineties, this will be the first time all three records will be widely available in stores. A new CROWBAR record is planned for early 2011. Kirk Windstein formed CROWBAR in 1991. Since that time, the band’s sound has profoundly influenced a new generation of metal acts the world over. Weinstein is also a key member of KINGDOM OF SORROW (with HATEBREED front man Jamey Jasta) and DOWN. Visit http://www.crowbarmusic.com/ for more information.